This beautiful teddy is made from the finest gray colored cropped and painted mohair. 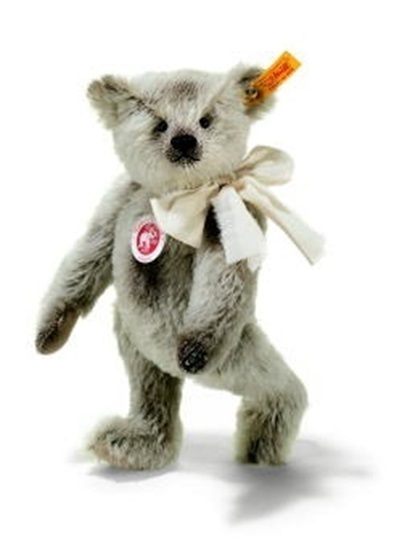 He is 5 way jointed with grey felt paw pads, shiny black eyes, and a frayed cotton bow. He is surface washable and has the yellow tag "Button in Ear".